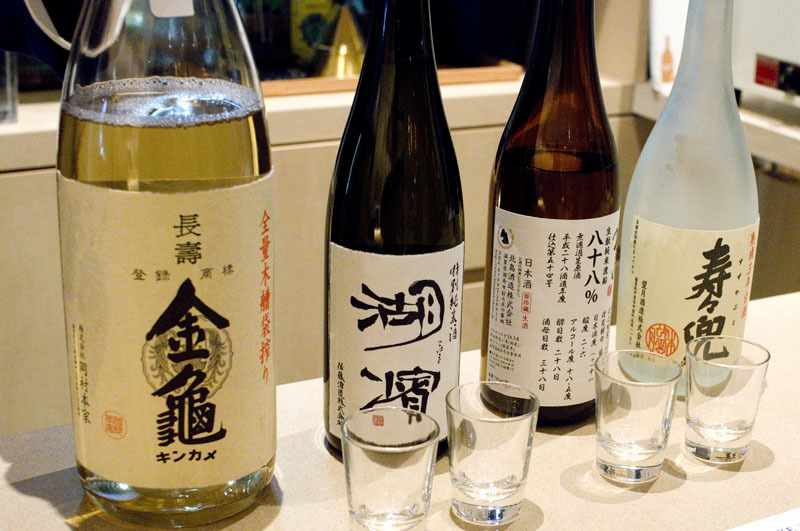 Located inside the antenna shop for Shiga Prefecture, this tiny bar offers a selection of 28 different sake from Shiga, served in 45ml tasting sizes (Y300), with the option of a four-part tasting flight for Y1000. 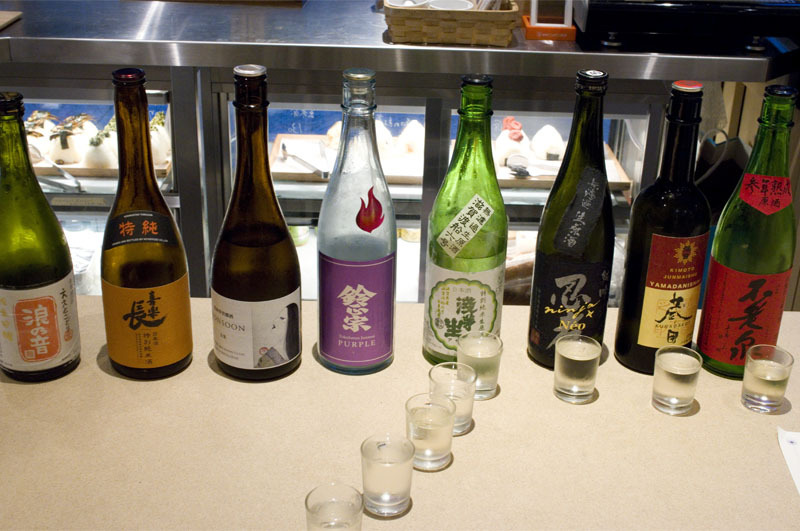 Sake-friendly snacks include local delicacies like cured Oumi beef, smoked cheeses and Shiga-style pickles. 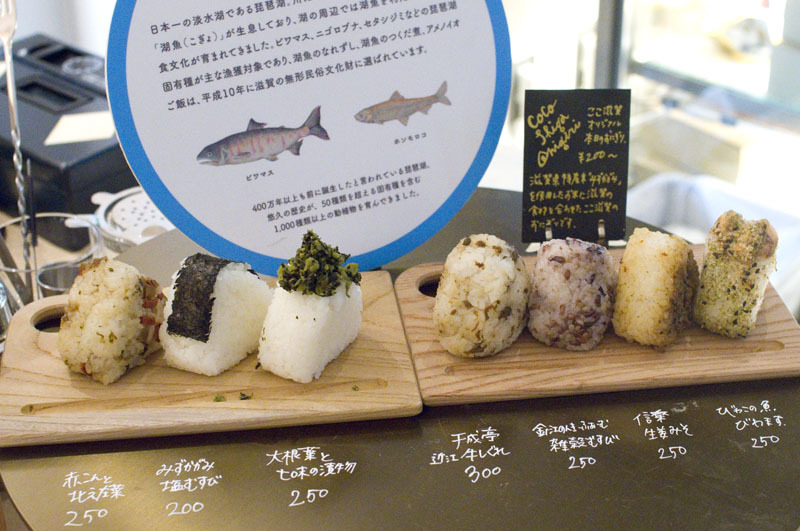 Seven varieties of onigiri rice balls are available to eat here or to go. 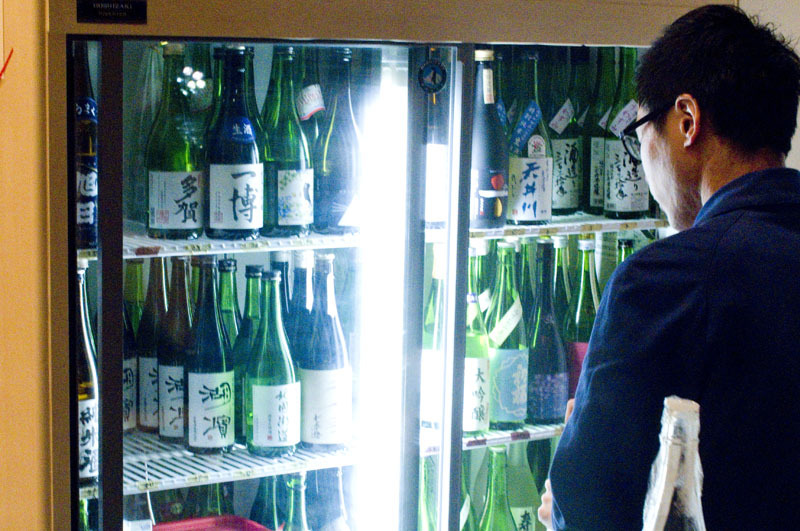 The bar area is quite simple, with only a handful of seats, but it serves as a nice stop on an antenna-shop tour of the area or as a convenient starting point for a sake-bar crawl of Nihonbashi. 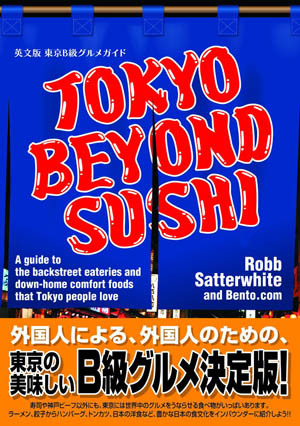 Adjacent to the bar is a retail area selling fresh produce and other products from Shiga (open 10am-8pm) and upstairs is a restaurant specializing in Shiga regional cuisine (03-6281-9872).